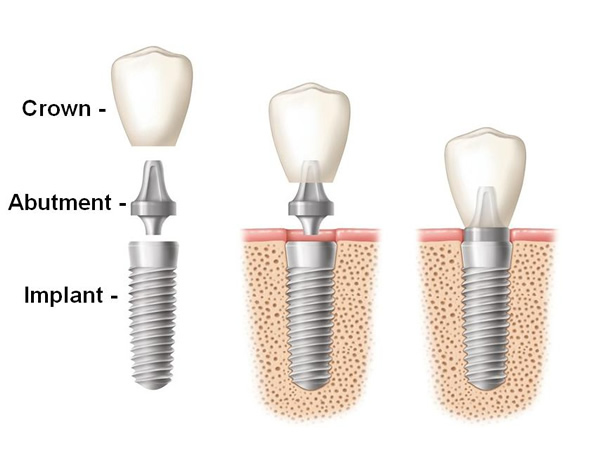 First, the implant, which looks like a screw or cylinder, is placed into your jaw. If you do not have necessary amounts of bone, a bone graft is done to recreate bone and will be done at the same visit. Over the next two to six months, the implant and the bone are allowed to bond together to form an anchor for your artificial tooth. During this time, a temporary tooth replacement option can be worn over the implant site. After the bone and implant have had the necessary amount of time to bond together and create a strong anchor for your new tooth, a healing abutment is placed. A healing abutment is a titanium cylinder that is placed over implant. Its purpose is to condition your gums and prepare them for your new tooth. This conditioning usually takes about 4 weeks to get your gums to the proper shape. When the gums have properly healed and shaped, we will then take impressions of the implant area and send those impressions to the lab which will prepare your new tooth, custom fitting to your jaw. 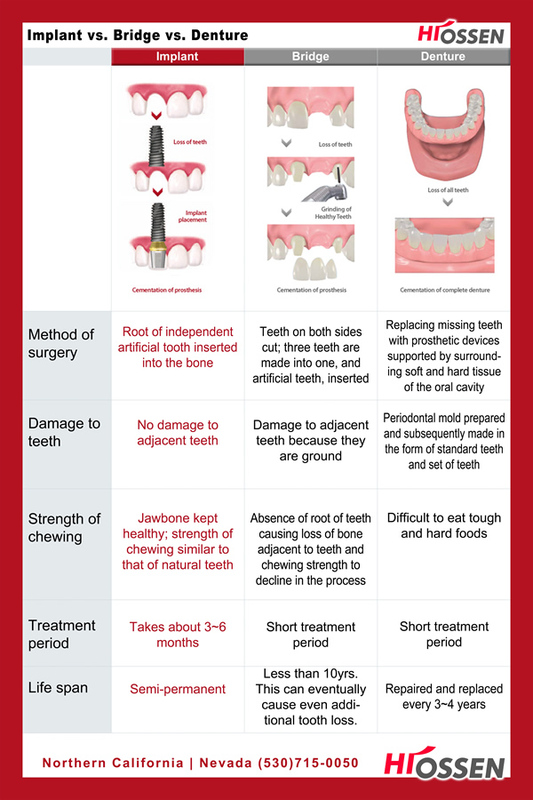 The final step is the delivery and cementation of your new tooth.